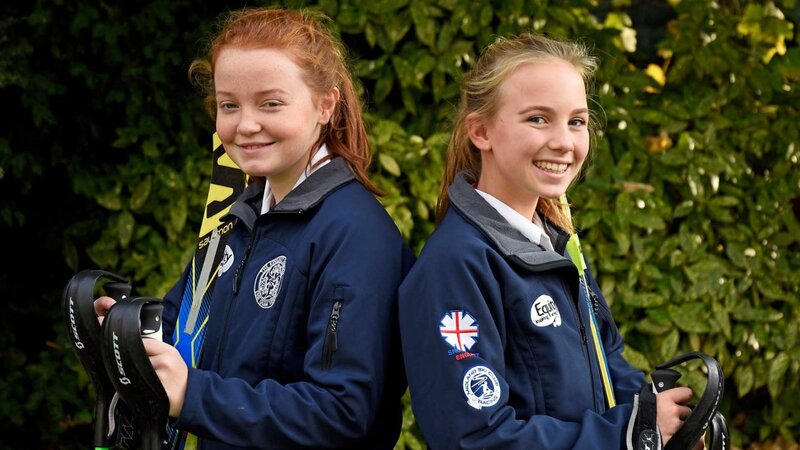 Hannah Dennison and Emma Lawton, both 13 year olds from The Kingsley School in Leamington Spa, have been selected to attend a week long ESSKIA (English Schools’ Ski Association) ski race training camp in Geilo, Norway in February 2018. During the week they will spend 6 hours a day on a race slope with 3 National Ski Coaches developing their skills at both Slalom and Giant Slalom racing. There will be extensive use of video analysis to help the girls refine their race technique. In addition, there will be early morning runs in the cold Norwegian air and core strengthening exercises every evening. They are part of a group of 20 girls who have been put through an extensive selection process by Chief ESSKIA Selector, Niall Whatmore. Hannah and Emma were part of The Kingsley School Team that finished second in The English Schools’ Indoor Championships at Chill Factore, Manchester in May, with Hannah finishing 3rd individually and Emma 4th against much older girls. In September, Hannah finished 6th overall in The English Dry Slope Championships at Norwich and in October Hannah and Emma were part of the 4 member team that finished 6th in The English Schools’ Championships in Norwich, qualifying for The British Schools’ Championships being held in Pontypool, Wales on Sunday 19 November. The School Team were also recently nominated for the second year running as U18/School Team of the Year at this year’s Coventry and Warwickshire Sports Awards at the Ricoh Arena. Hannah and Emma will also be travelling to Villars-sur-Ollon in Switzerland in March 2018 with 3 other Year 9 Kingsley pupils, Lorenza Chapman, Cecilia Goldwin and Lucy Sainsbury, to compete in The Aiglon College Cup.